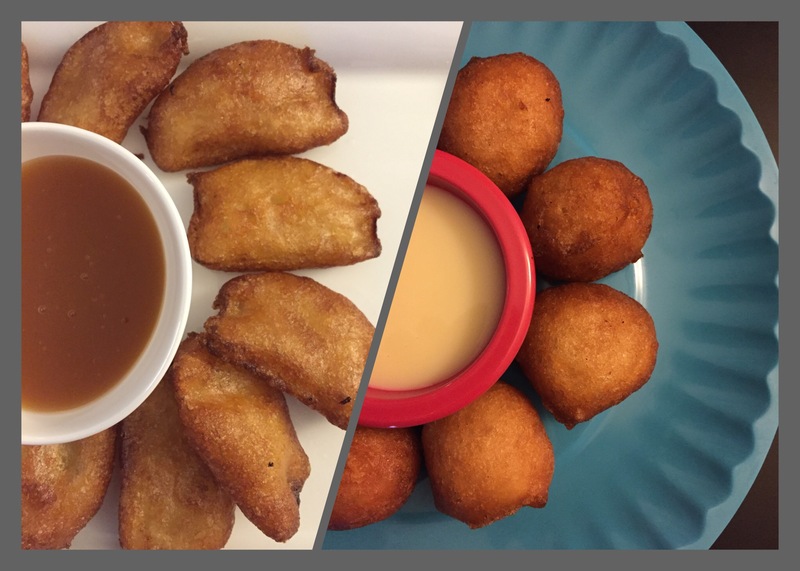 Bajji is a very popular snack in India. 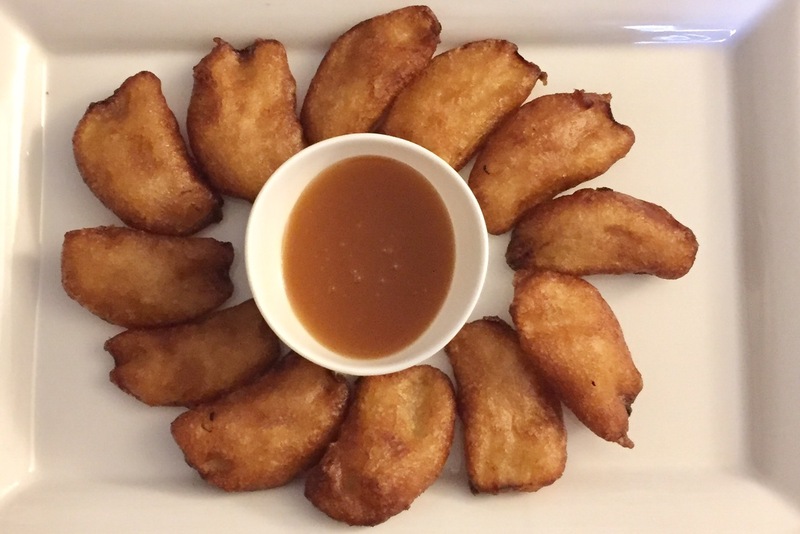 This is basically either thinly sliced fruits or vegetables dipped in a very flavorful sweet or savory batter and deep fried until its golden brown and crispy. 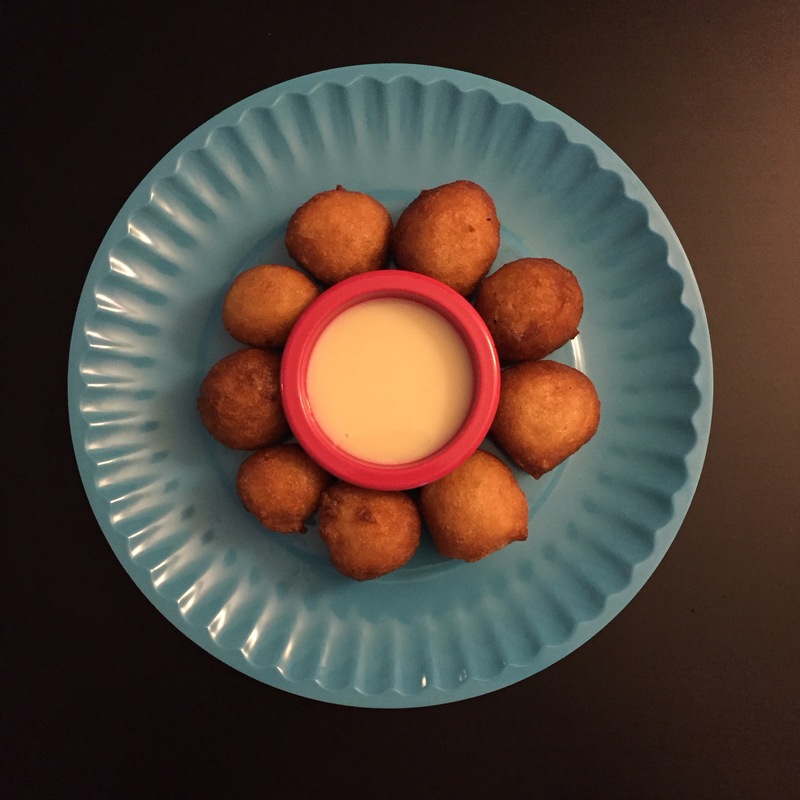 We make both sweet and savory versions of these fritters. 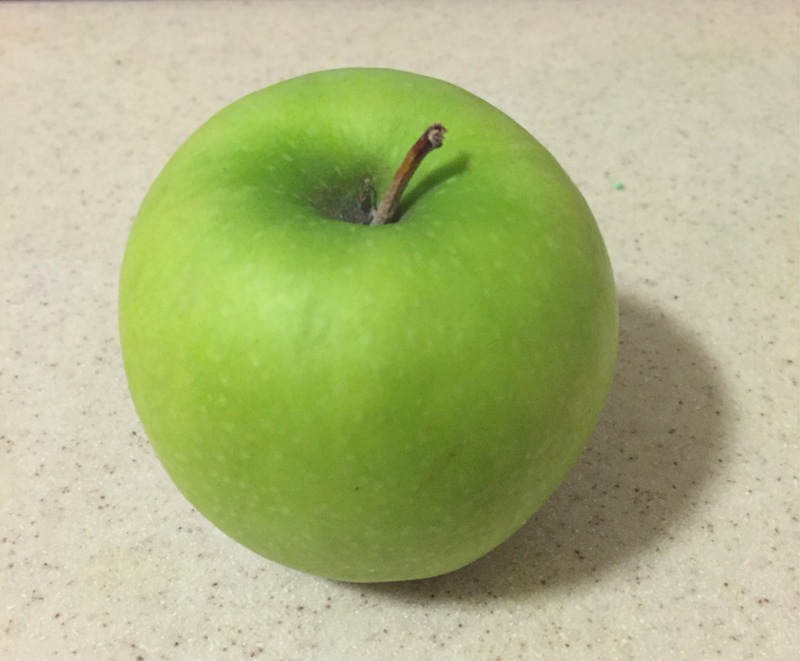 For this recipe I’m using green apple ( Granny Smith) you can use your favorite variety of apples, I really like to cook with this apple because it is slightly tart, it doesn’t get brown and holds the shape when you fry it . Add water and bring it to a pancake batter consistency. Set it aside for the flavors to meld . In the meantime peel the green apple and cut it into thin slices. Coat it with a little bit of flour. 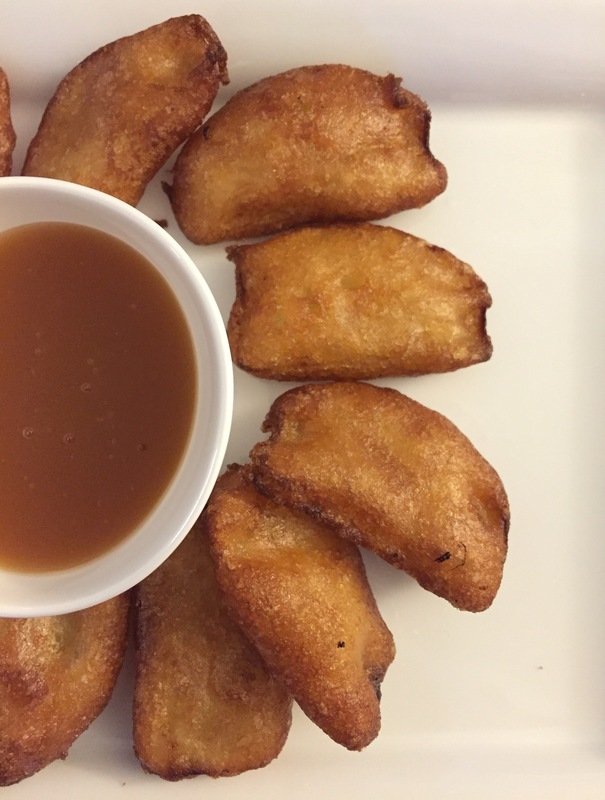 Heat the oil, dip the apple slices into the batter and fry it until it’s golden brown. Drain it nicely in a paper towel before serving. My kids like the apple and caramel combination but how about dipping them in sweetened condensed milk? , it may sound odd but it tastes amazing ! Add the mashed bananas to the batter and mixed it well. I have used banana extract to enhance the taste but it’s optional. Heat oil, Use the smallest cookie scoop to put them in the oil and fry until it’s golden brown. 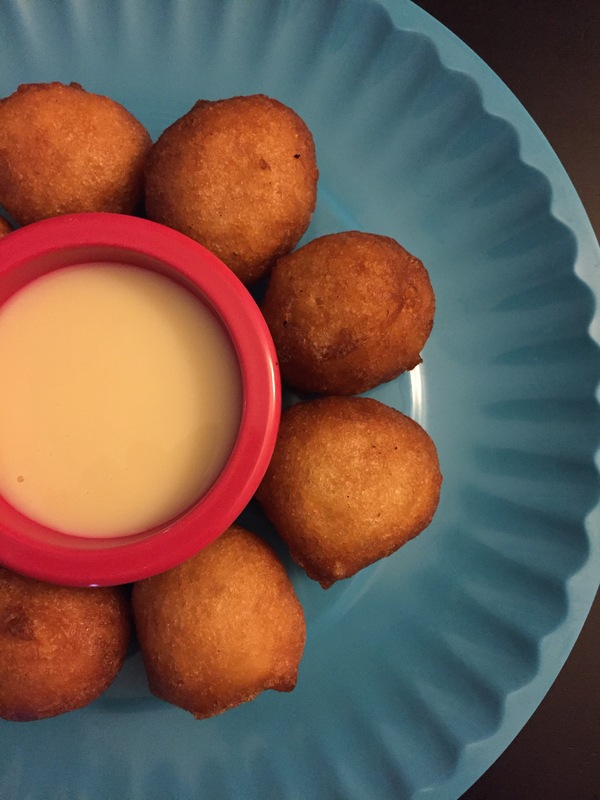 You get this golden pillowy balls of yumminess which is called Appam in south India. I love to dunk them in a bowl of sweetened condensed milk mixed with a dash of pure vanilla extract. That’s it! Very simple Wonder how this tastes? You will be pleasantly surprised. It tastes heavenly ! 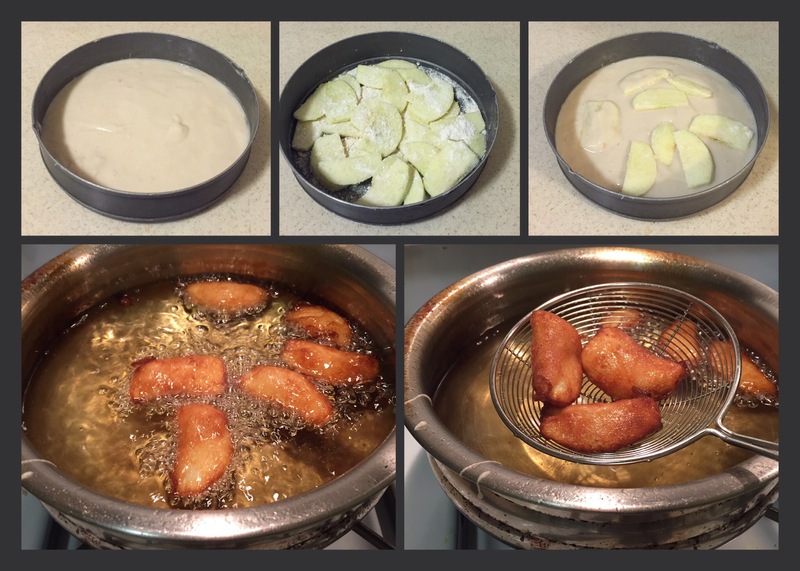 This is my take on Italian zeppole. Enjoy !! 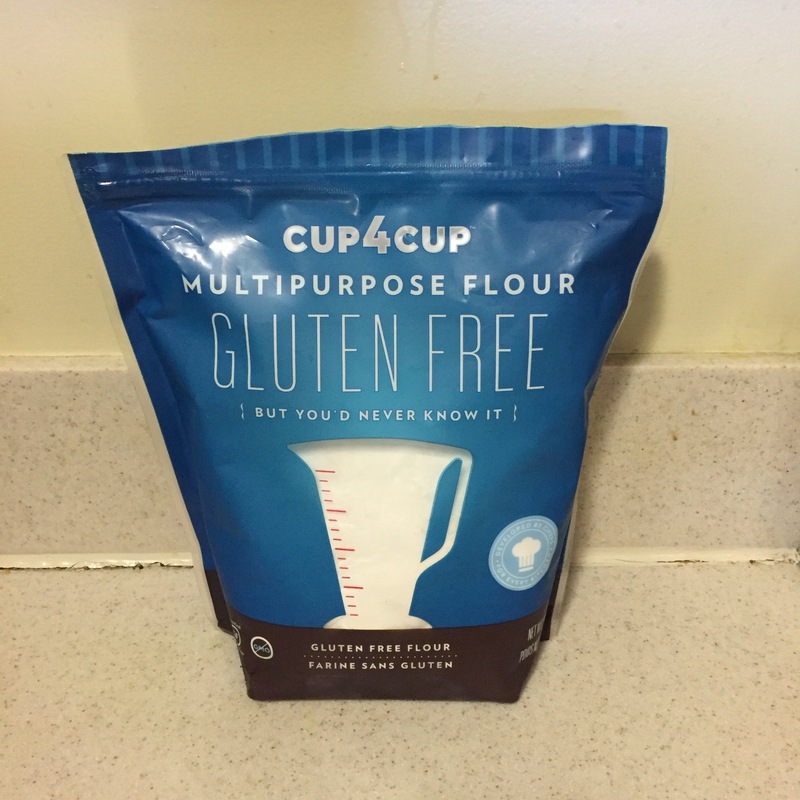 I accidentally came across this CUP4CUP gluten free flour, now it’s my favorite. Unlike other mixes it has milk powder in it which makes the baked goods so fluffy and moist. One thing I like about it is, I never have to alter the recipe because it’s gluten free. You can make anything with this just the way you do it with the regular flour. Very happy to accept the nomination . 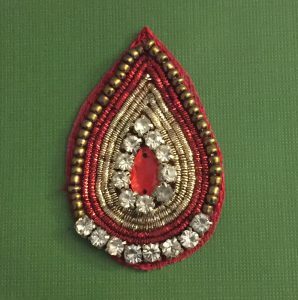 Thank you so much ! I really appreciate it .